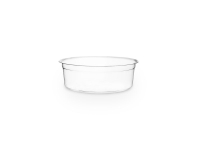 Clam PLA Deli 0300ml Brim - Clear rectangular deli container with a hinged lid for easy serving and a good seal. 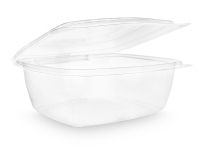 Clam PLA Deli 0450ml Brim - Clear rectangular deli container with a hinged lid for easy serving and a good seal. 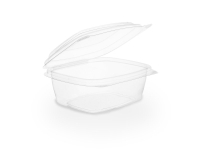 Clam PLA Deli 0600ml Brim - Clear rectangular deli container with a hinged lid for easy serving and a good seal. 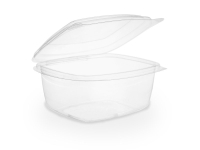 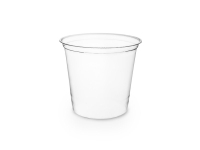 Clam PLA Deli 0800ml Brim - Clear rectangular deli container with a hinged lid for easy serving and a good seal. 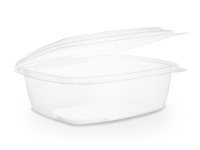 Clam PLA Deli 1000ml Brim - Clear rectangular deli container with a hinged lid for easy serving and a good seal. 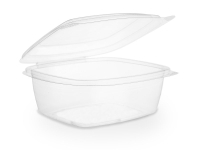 Clam PLA Deli 1500ml Brim - Clear rectangular deli container with a hinged lid for easy serving and a good seal. 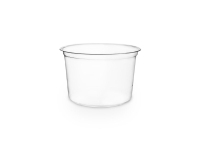 Our round deli pots are very popular. 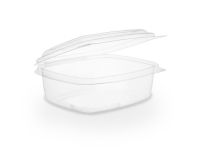 The 8, 12, 16 and 24oz sizes all take the same inside-fit lid - very handy for quick service! 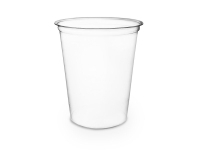 Also makes it very practical for stacking. 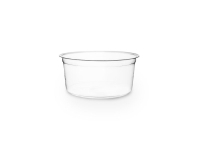 Order lids separately.